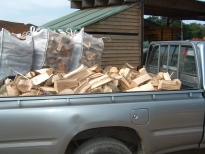 An unseasoned load can contain up to 50% water by weight. 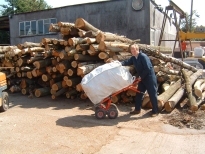 Seasoned logs are much drier and therefore lighter. 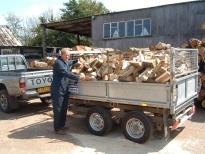 Because of this we sell by a given volume (one cubic metre) which is a constant measure every delivery. For comparison, one cubic metre of freshly felled oak would weigh approximately one ton, of which you would be buying half a ton of water. Our standard unit of one cubic metre fills the back of a pickup truck, or half a trailer. 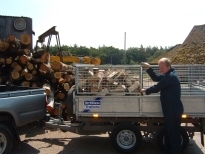 Two metre loads or greater are also available. The larger the load the greater the discount. As an alternative we also offer pre bagged 1/3 cubic metre sacs. They are clean, convenient and save space. Can be transported to any reasonable position near your house.